Chatting Over Chocolate: NEW Target Beauty Box Available NOW! NEW Target Beauty Box Available NOW! Happy Monday, friends! 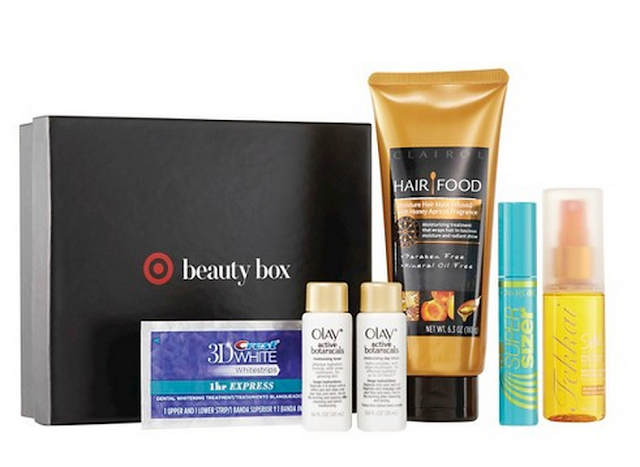 Thanks to an email from My Subscription Addiction this morning, I learned that there is a new Target Beauty Box for sale on their site NOW! Many of you have shared interest in getting the next beauty box that Target offered, so I'm sharing in hopes that you, too, will snag one before they sell out! Target lists the value of these items at $35, yet this box is selling for just $7! Beauty boxes are available online only, but ship FREE! If you'd like to order this box I highly recommend clicking here A.S.A.P. as they typically sell out very quickly! Speaking of Target, there's still time to enter the $60 Target Gift Card giveaway that I'm co-hosting in celebration of Della Devoted's 1st Blogiversary! Click HERE to enter! I had no idea Target had a subscription box. Thanks for posting about this, I totally need to look into this.